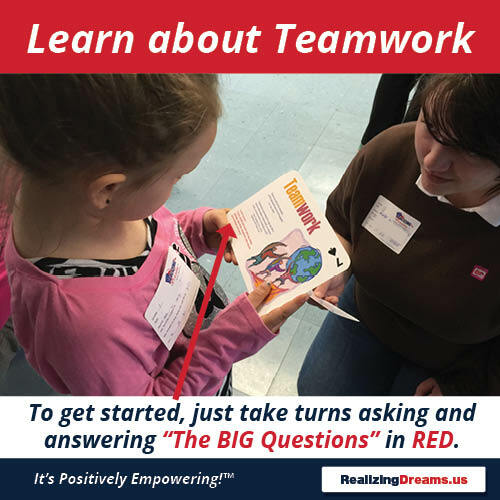 Teamwork and FamilyPlay™ helps you open communication and create connections that strengthen relationships. 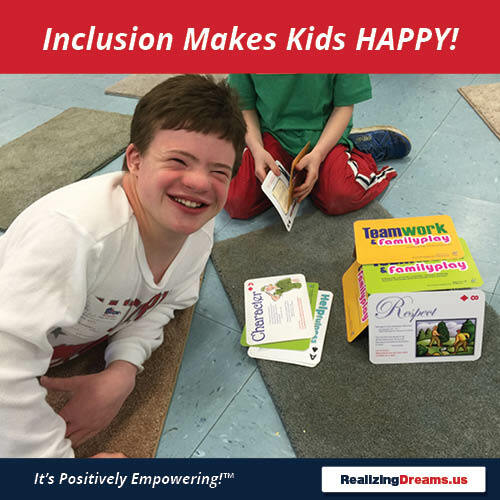 It’s a perfect tool to get REAL conversations started with purposeful play that gets all ages talking, laughing, and learning about others in a fun-filled way! 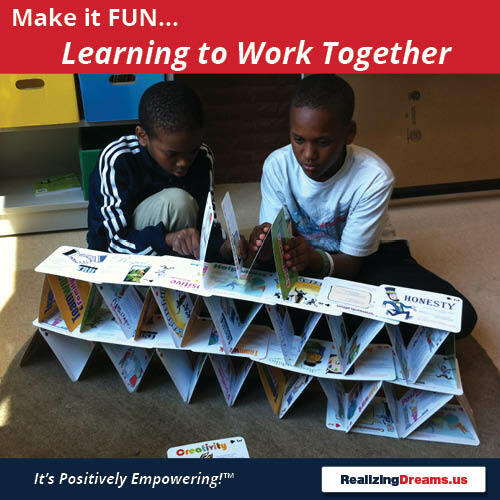 Collaborate, communicate, critical thinking, and creative problem solving in a game-style of play. 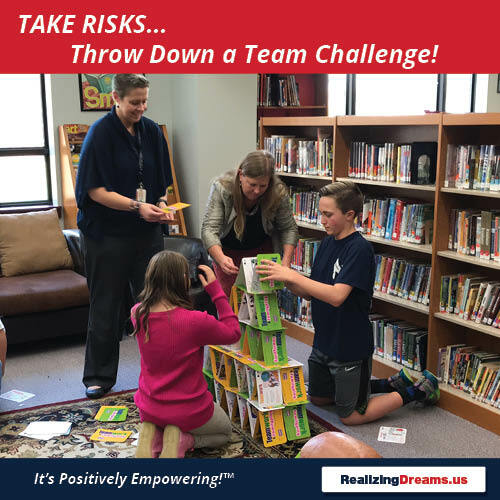 The 12 meaningful conversation starters, ice-breakers and activities help you develop trust, team build and leaders – even starting in Pr e-k! It’s a perfect tool to build community with students, families and staff in school, at camp, PTA/PTO, at your club and organization. 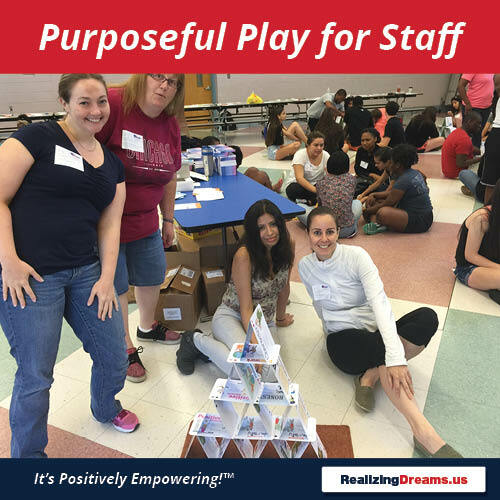 The purposeful play helps everyone take risks in a safe supportive environment and develop important transferable 21st Century skills for career readiness. 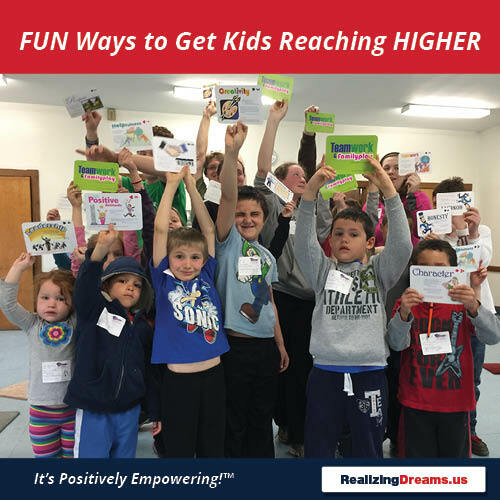 The capacity building and earned are national award winning activities include 12 quick, simple and meaningful turn-and-talk and cooperative play activities on 52 oversize cards (5″x7″) for minutes to hours of fun for ages 3 to 103! Create Connections. Develop Relationships. Build Community. 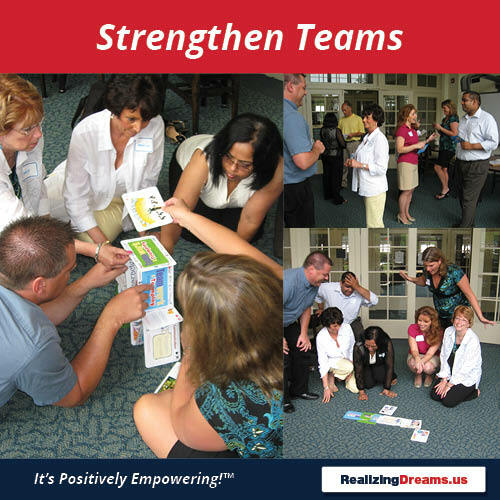 Read, Talk, Play with conversation starters and team building games in Teamwork and FamilyPlay™. 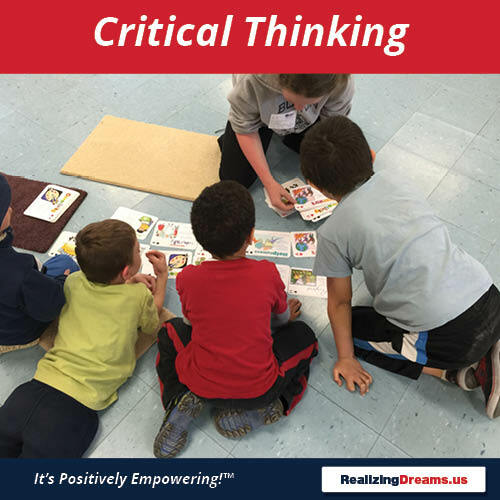 Perfect for starting class on a positive note, developing 21st century skills of communication, taking risks, creative problem solving, developing grit and teaching students to never give up, collaboration and leadership development. 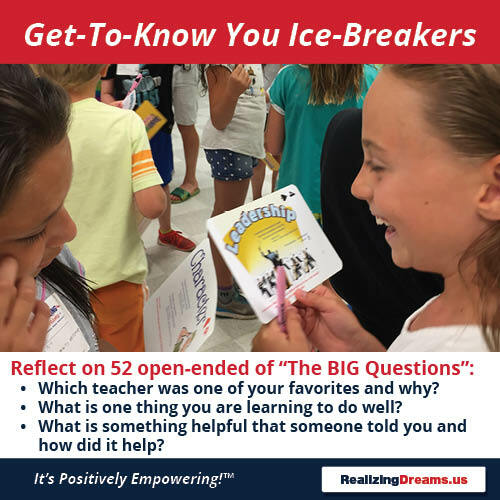 Great tool for PTA’s and PTO’s to build relationships, increase membership and of course, use as a ice-breaker and for collaborative games for your family engagement and parent involvement in education on your family fun nights! 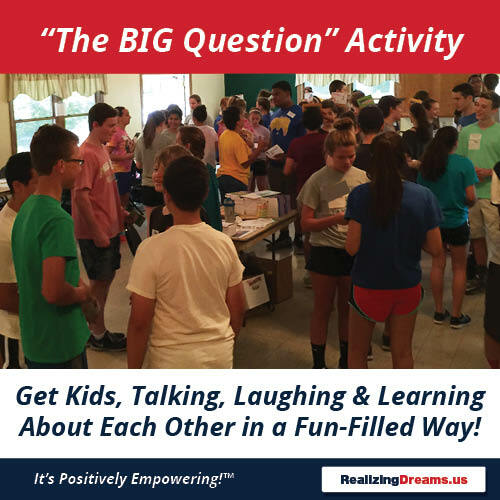 Using “The Big Question” Activity, you will empower your school-family-community partnerships and Realizing Dreams guarantees that everyone will learn something about each other and even themselves. 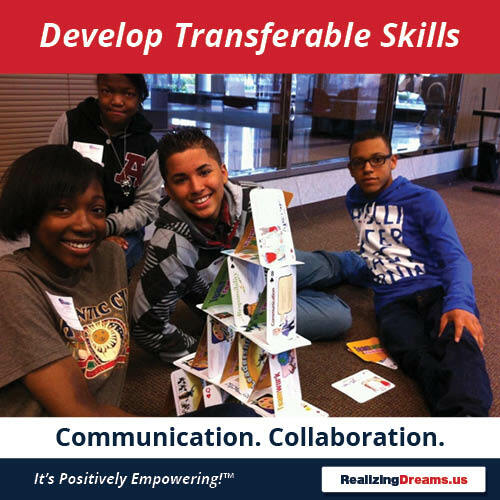 Here are a few creative ways you can get for every teacher, school counselor and positive youth development professional in your school, camp or club. 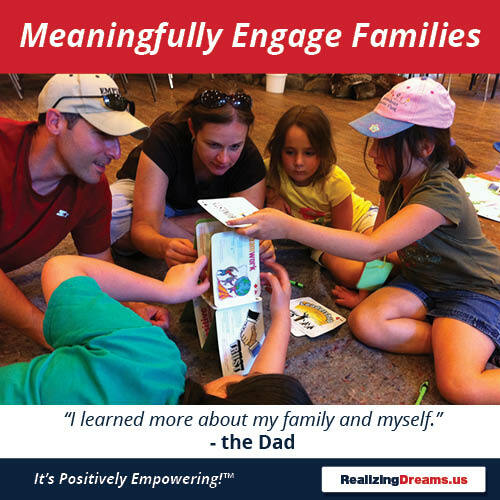 Get Family Engagement Grant funding. 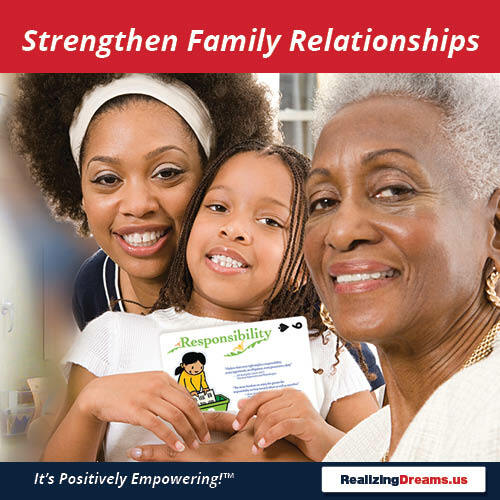 This would be a powerful tool to support your school districts efforts in engaging families for student success. 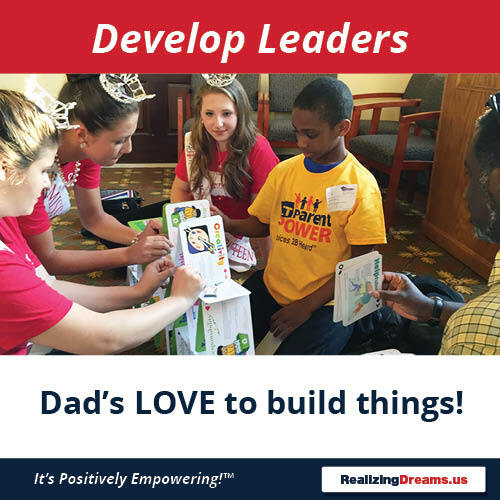 Tell them the purpose is supporting high-impact and very empowering family fun nights where kids develop transferable 21st century skills of communication, collaboration, taking risks, creative problem solving. 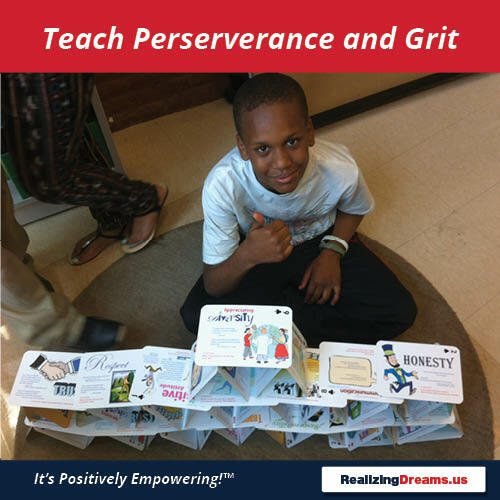 Students will learn about grit and perseverance as the purposeful play with the Einstein Card Tower Challenge will teach them to never give up. To give your local business some visibility, we can add your schools and up to 12 other logos with a minimum order of 50 sets. 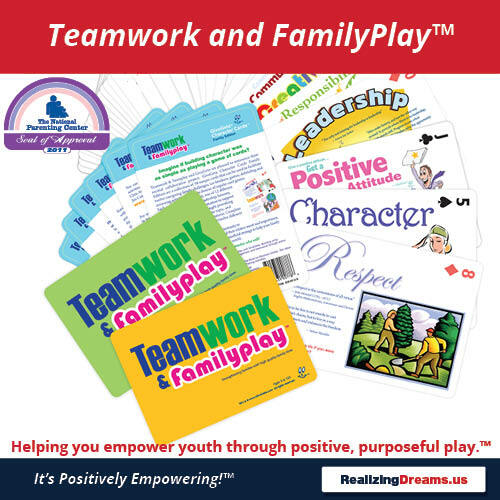 Your sponsors logos will be on each of the 52 cards in the Teamwork and FamilyPlay™ community building games. For example 50 sets is 2,600 cards and 2,600 visual impressions of yours or your sponsor(s) logos participants will see when they play the games. Individual Sponsor showing just your schools logo or a business or supporters logo. i.e. your insurance company, bank, realtor, etc. 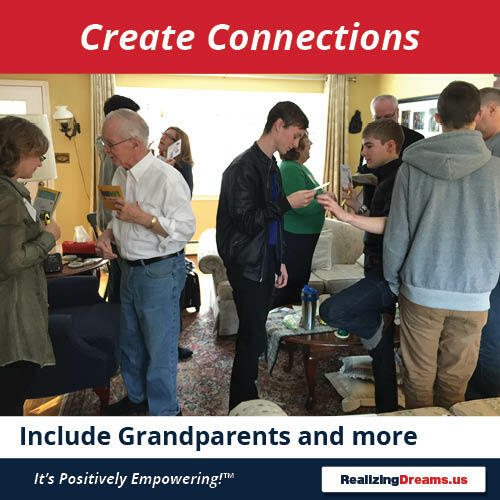 52 oversize cards with 12 capacity building hands-on activities to open communication, spark meaningful conversations, and bring people together on common ground. 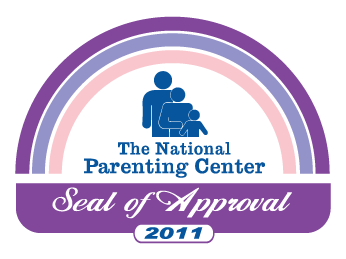 Teamwork and FamilyPlay™ received The National Parenting Center Seal of Approval in 2011. “Geared for families with children of all ages, our testers gave great reviews to this very unique and ambitious game. Game may not be the best term for Teamwork and Family play as what it really did was get families talking and sharing like never before. Families reported learning interesting things about one another that they never knew before. 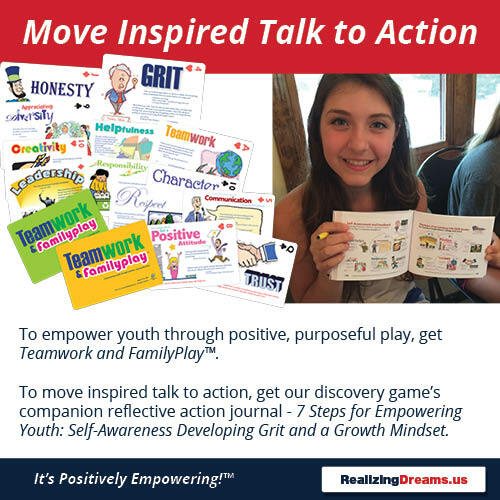 Let’s face it teens and pre-teens aren’t always the most open when it comes to conversations with their parents.These cards found a way to bridge the divide and get real conversations started. Coming Soon – Contact us or give us a call at 860.657.0770.